Enigmatic Black Star Diopside intrigues us with its blazing white four-pointed star, which shines brilliantly from the stone’s dark depths. A friend to academics and energy workers alike, this gem, which owes its brilliant star to mineral inclusions, is both emotionally soothing and grounding. Black Star Diopside belongs to the magnesium based Diopside group of minerals that form in metamorphic and igneous rocks. The diopsides (calcium magnesium silicate) vary in colour from the rich green of Chrome Diopside, to the light blue of Violan and Black Star’s dark green to jet-black. Black Star Diopside formed in the aftermath of volcanic activity. As molten rock began to cool, the diopside present in the molten mix crystallized, doing so in successive layers. In a few instances, another mineral known as magnetite (a magnetic iron oxide) was also present, and also crystallized to form very fine, submicroscopic needle–like crystals that aligned parallel to each other within the diopside matrix. It is the reflection of light through these needle-like crystals of magnetite that causes the star effect to occur, a phenomenon known as asterism. 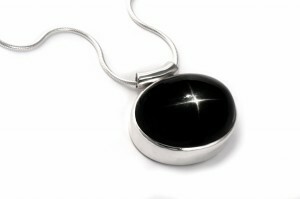 The star that Black Star Diopside displays is always a white, four-pointed one. The 4 rays are usually not quite at right angles to each other, and 2 rays tend to be straight while the other 2 are slightly wavy. Depending on how much magnetite is present, Black Star Diopside may also display magnetic properties. 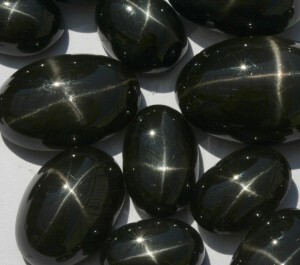 Black Star Diopside resonates with the base chakra and serves to bring us into harmony with the earth. It facilitates an exchange of energy between the earth and us, allowing us to either ground our excess energy or be replenished. This stone enhances our intuitive connection with the earth and nature. Dowsers and energy workers who work with ley lines will find Black Star to be a useful tool. It is credited with creating a similar feeling to that of being in a place of natural beauty, and is valued for its soothing effect on both the emotions and physical body, in the face of stress. It is also known as the “crying stone”, because it is said to induce the tears that need to be cried in order to heal. Black Star is also considered the academics’ stone, as it is said to stimulate the intellect and enhance the study of analytical subjects such as mathematics and science. Physically, Black Star is said to be beneficial in the healing of heart, lung and circulation disorders. For those weakened by illness, Black Star is credited with restoring energy. 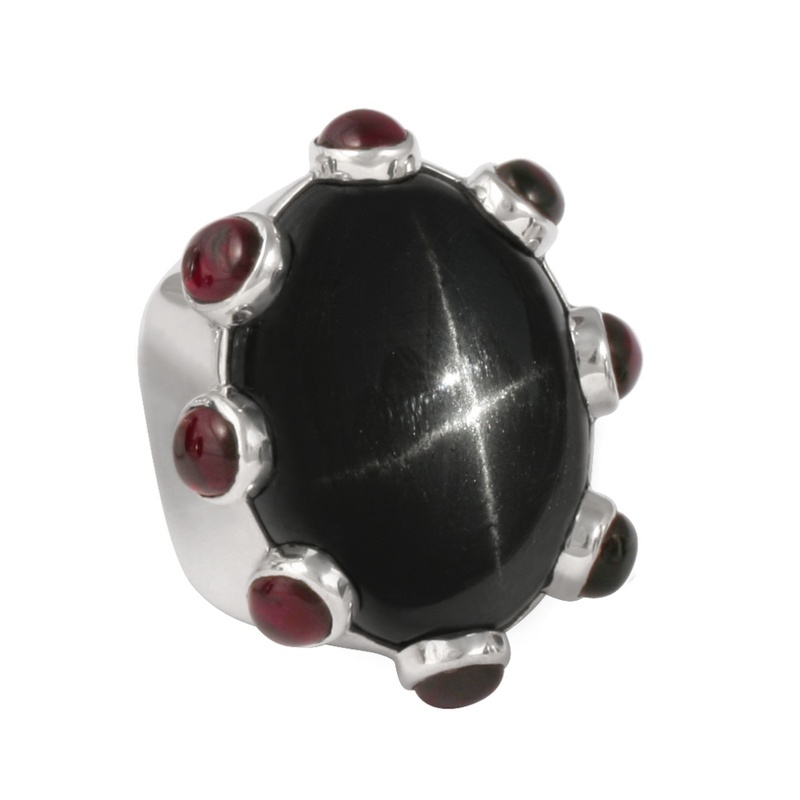 Black Star Diopside relates to the star sign of Virgo and vibrates to the number 9.